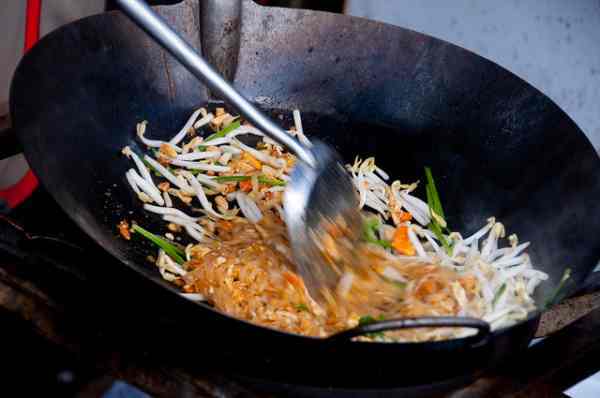 Pad Thai is one of the best-loved dishes exported from the woks of Thailand and now features popularly on menus around the world. Learn how to make your very own Pad Thai in just 5 minutes flat. Although this fried noodle dish is a relatively new addition to western palettes, it has been a staple of Thai cooking since Bangkok was ancient Siam, and in that time the Thai people have learned to master this dish in a hurry. To read the full article, see: The Flying Fugu. This entry was posted on January 31, 2012 by IndianaJo in Asia, Destinations, Food & Drink and tagged bangkok, chilli, cook, fast recipes, garlic, noodles, pad thaa, quick recipe, thai food, thailand.